It’s such an honor having you here as a guest on The Writing Piazza. If you could start by telling my readers a little bit about yourself. My name is Braxton A. Cosby and I am from Atlanta, Ga. I was born in California, but lived in Miami, FL for most of my life until relocating to ATL. 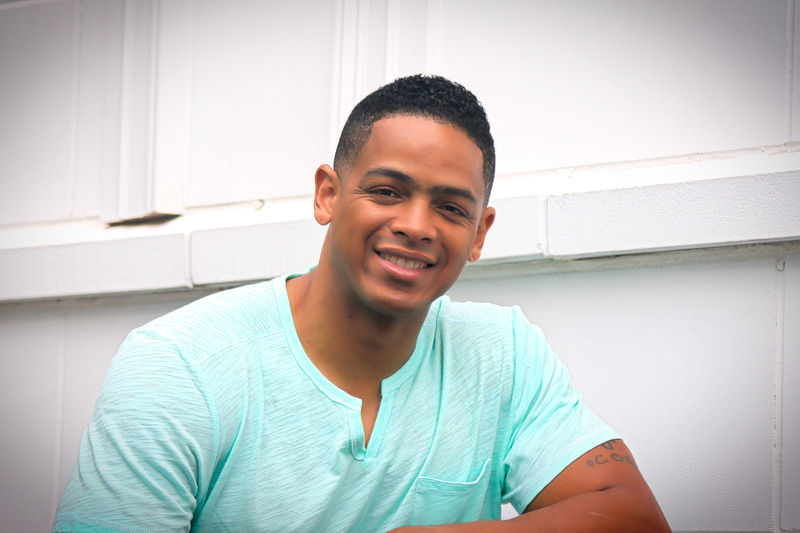 I primarily work as a Physical Therapist by day, and pursue my writing career by night. 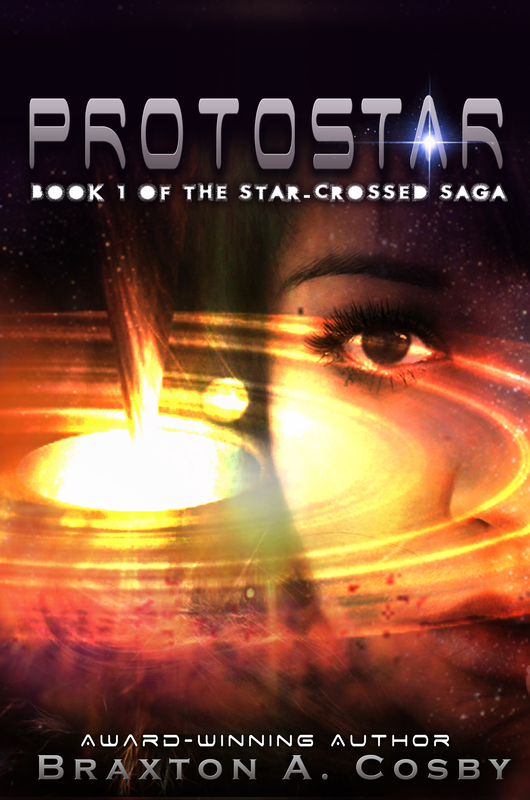 I started writing back in 2010, and penned my first novel Protostar back then. Since that time, Protostar has gone through two editions and will be finally released as a Deluxe Edition in June of this year, close to the release of the sequel, Supernova. Oh, Physical Therapy sounds like a tough but rewarding job. Many of my fellow writers have to maintain a “day job” along with their writing. Ah, the things we do for our art. To be a writer is often a great sacrifice. You really have to want it. Making time to write amidst all the other things begging for our attention can be difficult. But you’ve done it! You’ve written multiple books, can you tell us a bit about them? I’ve written several books since 2010, and even co-authored a couple with celebrities Bill Hughes (designer for the original Star Wars series), award-winning musician Mike Clemons and Olympian Gail Devers. 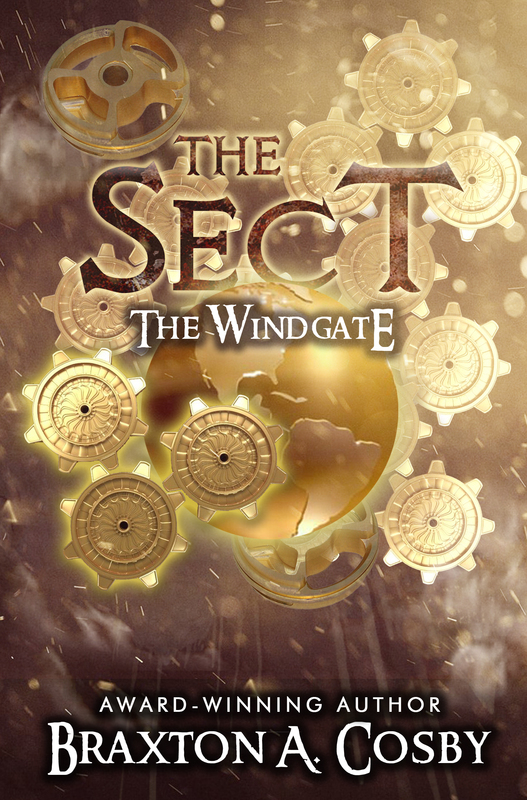 But my love comes from the YA books I’ve published, The Sect: The Windgate (Book 1 of The School of Ministry Series) and Protostar (Book 1 of The Star-Crossed Saga). Protostar and The Sect, center on the themes of choice, and how our decision round out our destiny. You won my heart when you said Star Wars. The original three movies are my favorite movies of all time! That must have been so fun working with all those amazing people. And then you choose to write YA for the books you wrote by yourself. What made you decide to write for that age group? Young people are at a huge advantage in this age, they have access to so much information that if they do their diligence of researching something, they can make very informed decisions and avoid a lot of the pitfalls that my generation and I fell into. But truly at the heart of The Star-Crossed Saga is a love story about choosing love over duty and being accountable to that decision. Now your Star-Crossed Saga sounds intriguing, can you tell us a bit more about it? William is the Prince/Bounty Hunter that must make this pivotal choice to either save or destroy Sydney, the Star-Child and the future of his people hinges on it. Lots of action, deep story and forbidding enemies await readers as they delve into this book. The series and Protostar (I’m very proud to say) won two awards in 2014, being recognized by Readers Favorite and Children’s Literary Classics for YA books of the year. Congratulations! I’m sure you don’t write for the awards but it’s always nice to get them. Being a writer often means going long periods without any encouraging feedback so those awards can really be a spirit booster! Just a side note, I have in my possession a copy of Protostar and I will be posting a review of it here on my blog once I finish it. I’m only a couple chapters in and I’m enjoying it thus far. It’s heavy on the sci-fi which isn’t a bad thing. I’m just not a technological person so I’m always amazed when other writers can write that stuff. I’ve been impressed with what I’ve read so far. 🙂 I’ll let you all know my final thoughts once I’m done so keep an out out for that review. Let’s talk about your other book The Windgate, can you tell us more about that? The Windgate from the School of Ministry Series, follows a young male named Ziv who has gifts and talents to see creatures from the other side: demons. On the day of being re-acquainted with the love of his life (and his plans to finally divulge his feelings for her) he finds out that she was kidnapped. 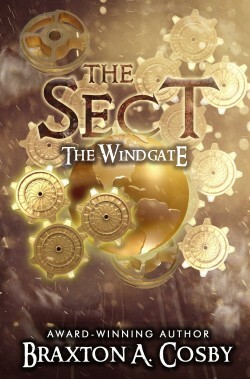 He is recruited by the secret society known as The Sect and must join them to both hone his skills and find Stephanie. This book also won two awards for Faith-based YA and YA for Readers Favorite and CLC Awards. Ok, now you’re just trying to make the rest of us look bad. haha Just kidding! I love seeing writers rewarded for their hard work! And that book sounds like something I’d enjoy too, I’ll have to check it out. 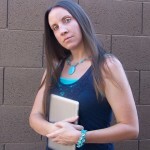 I’d like to switch gears a bit and talk about your publishing journey? Can you describe what that path was like for you? 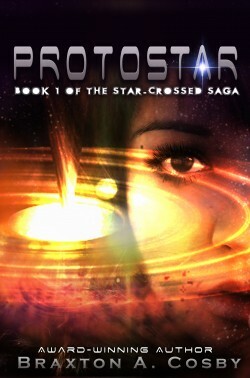 I first published Protostar with a small publisher here in Atlanta back in 2010. I figured I’d get my feet wet and then see how far this would go. Thankfully, I got good reviews and that kept me going. I joke with people that I survived my first publishing experience. Later, in 2012, the publisher got out of the business and I was awarded my rights back, so I decided to get a literary agent and submit the work to multiple publishers until it landed in a new home. After a year on the market, I had finished the sequel. When the publisher and I parted ways I did one last revision to the work and created the deluxe version that reads much smoother and sharper, under Cosby Media Productions (the media company that I serve as the owner and CEO) in association with Tate Publishing. With a fresh cover design and the sequel on the horizon, along with Broken Prince the novella, I feel that readers are in for a treat over this June. I’d like to change course a bit again if we could. If we could talk about your online presence. Holy, moley your website is awesome and full of so much stuff I hardly know what to ask first now that I have the preliminaries out of the way! I guess let’s start with what all are you working on besides being an award winning writer? Well, I have quite a few irons in the fire. Mainly though, I will say that my work just reflects what I am both personally and professionally. Being a PT by trade, I love to help people. So that’s why I have the health blog and platform through SmashOn, OMTimes and the Billion Pound Blitz to reach people to meet their health and fitness goals through boot camps and videos. My book Fat Proof, will be published by Charisma House on January 6th, 2016 and I am truly excited by the initial press and feedback it’s received. Then there’s film and TV, which mainly reflects all the projects that Cosby Media Productions has in stock. We like to build programming from the ground up, and use our stories from the publishing side to drive us. We feel we have a very talented stable of writers and producers who can take our author’s original works and make them shine on the big screen. Protostar – my baby – is first out of the gate and we are currently securing the last bit of funding to get production under way. And of course I have to ask, how do you have time to do everything you’re doing (and have done) on top of having a family? It’s difficult to say the least. Most of my hours of working on the business occur during the late hours of the day, between 10 pm and 2 am. Ah, a fellow night owl. Those are some really great hours aren’t they? It’s so quiet and distraction free (as long as you stay away from the internet). Now that you’ve got a few wins (published books) under your belt, looking back, what’s something that has surprised you about this industry? I could not believe how difficult it is to get the news out that you have a book in the marketplace. I do interviews (thank you for this one) and speaking engagements, and once people know about the books, they are interested and I see a spike in sales. But it’s getting the general audience to know about you that is the challenge. No thank you for being a guest! It’s a privilege to have you here, even if I don’t get to work on any of your movies. LOL! But seriously, thank you for taking the time to do this interview with me. I won’t take up too much more of your time, promise. 🙂 I think there’s a consensus amongst authors about the difficulties of marketing their books so you’re not alone in being caught off-guard by that. What would you say has been the hardest part about your journey as an author? Finding the time to get multiple projects done. You want so badly to make every story stick and be amazing, and you have to find the balance of really weaving together the story so that there is enough world and character building, so you must be patient. In the haste to just “get them done” you could easily sacrifice that and the story will come out incomplete. So true, that balance can be a hard mistress to please. But enough of this difficult stuff, do you have any fun/heart-warming/inspirational stories you can share about your experience as a published author? I love talking to young folks about my books. I recently spoke at my daughter’s middle school, and I always love to see the faces of the young girls when I give them the synopsis of Protostar and how William falls in love with Sydney and must make the ultimate choice that will define who he is. When I unveiled the new covers where the two faces connect, they literally swoon with excitement. I believe they call that fangirling. 😉 I have many fangirl moments myself (like when you mentioned Star Wars for instance, haha). It’s great when you can get feedback like that, it makes all the hardships of being an author worthwhile. I have a question I like to ask most (if not all) of my guests, if you’ll so indulge me? What is one thing you know now, that you wish you’d known before you published your very first book. The value of editing. I would have gone over everything more than just once and not just trust that the human editor catches everything. You really have to be committed to sitting down with your work and reading it out loud to yourself. Oooo, that’s a great tip! Reading your work aloud is such a great editing tool. Even though we read differently in our heads then we do out loud, there’s something about reading your own work out loud that really helps you catch things you need to fix. Any other advice for authors hoping to publish their own work? Finish the book first and make sure that it is a story that you fall in love with. Don’t try to force a square peg in a round hole. It can’t be someone else’s love. I’m passionate about every character I write and I know I have a responsibility to make them shine and impart some message in the words on the page. You mentioned a sequel to Protostar are you working on any other books? Yes. Besides finishing up the audiobook for Supernova, I am also putting the finishing touches on the outline for Solstice (book 3 of The Star-Crossed Saga). How about any upcoming events? I am currently scheduling a couple of Barnes and Noble book signing events for July, along with festivals across the SE. People interested can stop by the website and check out my Events tab. Wonderful! I think that about does it for our interview. I just wanted to thank you again for being with us today. It has been so much fun having you. Before I let you go, how can readers connect with you online? Thus ends another guest interview here on The Writing Piazza. Thank you all you fantastic readers for joining us for this interview. If you’re looking for other interviews you can check out The Guest Interview Page. If you’re looking for more writing help you can check out our Resources for Authors page. There’s an index there with various topics. And keep checking back, new content goes up three times a week here on The Writing Piazza.